2002. Hardcover. New. In the past two years, the hope of peace between the peoples of Israel and Palestine has collapsed, replaced by an increasingly savage cycle of revenge. Why? Can we understand both the politics and the anguish, the human face of this catastrophe? 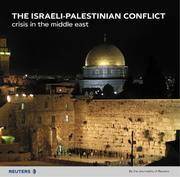 In The Israeli-Palestinian Conflict: Crisis in the Middle East, the correspondents and photojournalists of Reuters illuminate this conflict with unmatched insight, objectivity, and balance. Reporters who have been present at the key moments of history answer questions that cry out for answers: How did it come to this? What is the role of history, economics, and land? What is the role of religion, and the unique meaning of the city of Jerusalem? What are the Palestinian and Israeli views? From Arafat and Sharon to Carter, Clinton, and Bush, how have individual leaders shaped the struggle? What impact will today's events have on tomorrow's Middle East, and on the rest of the world? Above all, who are these people? What are they enduring, and what may their future hold? The Israeli-Palestinian Conflict tells the story of the Israeli-Palestinian relationship through stunning new photographs and a compelling narrative that places the events of recent months -- and decades -- in their full context. 1959. Very Good. Paperback shows signs of age and reading. 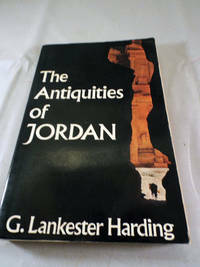 In his classic account of the antiquities of Jordan, Lankester Harding writes with an erudition based upon a lifetime's knowledge of the region, describing all the major sites of interest in the country. Some of the most remarkable and famous sites in the world, from Petra, the unique Nabataean city hewn from sandstone, to Mafjar, the most elaborately planned and lavishly decorated Umayyad palace in the Middle East, with the largest single area of ancient mosaic in the world, lie within Jordan or the West Bank. Archaeological evidence of human occupation exists from Palaeolithic times until the Bronze Age when much of Jordan's history may be adduced from the stories of the Old Testament. The area was subjugated by the Assyrians, the Persians, the Greeks, and the Arabs whose houses, palaces, theatres and castles often provide the principal surviving evidence of these peoples: Jericho, the oldest city in the world, where remarkable statues of the Pre-Pottery Neolithic period were found; Jerash, a large and comprehensive Roman city on the fringe of the desert, only rediscovered in 1806; huge Crusader castles like Qalat al Rabadh and Shobak; and Khirbat Qumran, site of the Essene settlement and of the Dead Sea Scrolls with whose discovery the author was intimately involved. The Antiquities of Jordan remains an invaluable and absorbing guide for students of Middle Eastern archaeology, as well as for those who know Jordan or who wish to visit the country.